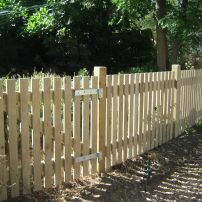 commented on "Small Picket Fence"
This small picket fence is there to stop the kangaroos from eating the garden. 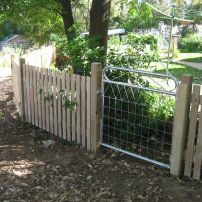 Small picket fence with gate swinging outwards. 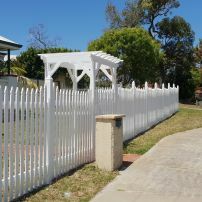 This ornate gate has been set into a small picket fence. 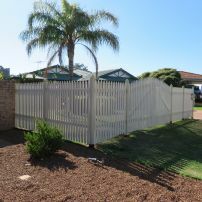 This Windsor Picket fence provides privacy to the front yard. 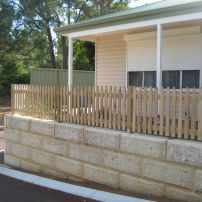 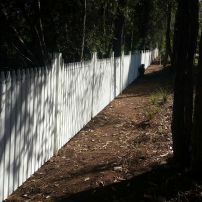 This Windsor picket fence is over 40 meters long at front boundry of the property. 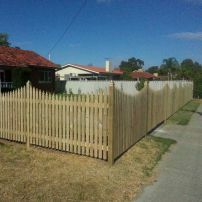 Windsor picket fence, 1.5 meters high. 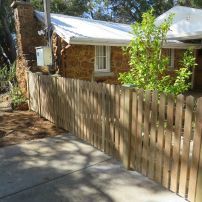 Windsor Picket Fence around front of property.